Sixty years ago, before he became a controversial figure in the field of psychiatry, Dr. Thomas S. Szasz co-authored an article for the Archives of Internal Medicine (now JAMA Internal Medicine) on “The Basic Models of the Doctor-Patient Relationship”, which is well worth reading today, particularly for those who believe that patient empowerment/engagement is a novel and disruptive innovation of our digital times. The paper is describing three distinct relationship models (i.e. active-passive, guidance-cooperation, mutual participation) and how they flow and morph into each other based on patient ability/preferences, physician characteristics, and illness circumstances. Dr. Szasz is addressing all the contemporary hot buttons of paternalistic doctors, patient values and shared decision making, but more important is the realization that doctor-patient relationships were a concept debated before most of us were born, in much the same way they are debated today. Since Dr. Szasz made his contribution to the philosophy of medicine before hidden agendas and political correctness dictated how ideas are phrased, he was free to observe that “each of the three types of therapeutic relationship is entirely appropriate under certain circumstances and each is inappropriate under others”, without the compulsory need to assign blame to either the patient who prefers passivity or the physician who complements those preferences in “an interlocking integration of the sick and his healer”. And when a mismatch arises between the preferences of doctor and patient, the relationship is dissolved, “and so life goes on”. But the days of laissez-faire medicine are over, and today we feel compelled to define the, one and only, ideal physician-patient relationship. Choice – For patients, this means choice of practice type and setting, choice of primary care physician, choice of specialist or facility for emergencies and special conditions, and choice among treatment alternatives. Competence – Physicians should stay up to date, have good technical and diagnostic skills, exhibit good clinical judgement and be cognizant of their own limitations. Communication – First, physicians should listen and understand symptoms, values, family, jobs and other health related patient concerns. Second, physicians should be able to explain the disease, the diagnosis, treatment alternatives and how those affect patient values, guiding patients through issues raised by their illness, while respecting patients’ preferences for how much they want to know. 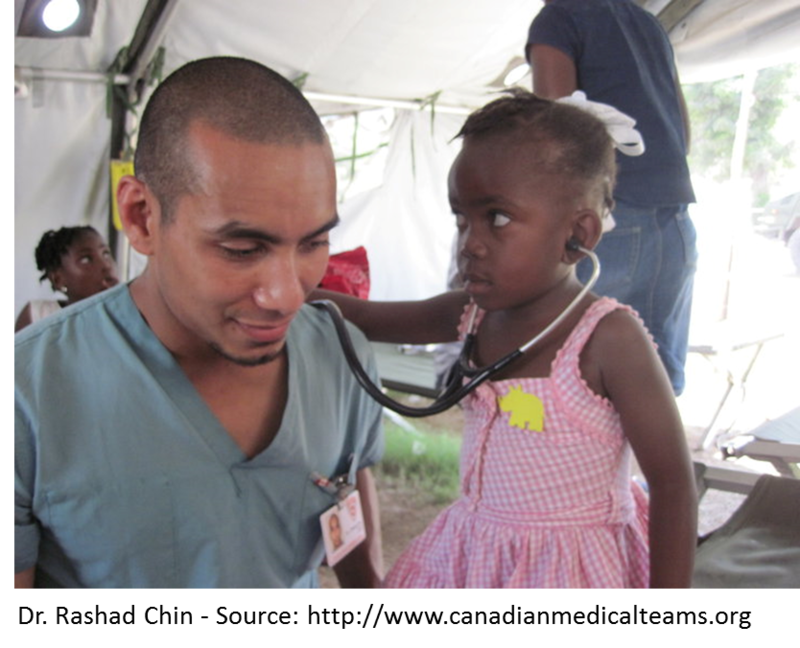 Compassion – This is about empathy and helping patients feel supported. Continuity – Here the paper recognizes that the “ideal physician-patient relationship requires a significant investment of time”, and that frequent changes of physicians undermines such relationship. It also acknowledges that “relationships that endure over time may be more efficient” both by helping doctors treat the patient in more appropriate manner and by fostering patient trust and confidence. (non) Conflict of interest – Personal and financial interests are emphasized, but the expectation seems to be that “a physician’s primary concern will be his or her patient’s well-being, even though physicians may have obligations that conflict”. The remainder of his paper explores the many ways in which managed care is positioned to attack all six components, and concludes by stating that “the physician-patient relationship is the cornerstone for achieving, maintaining, and improving health”. Dr. Emanuel’s definition of the doctor-patient relationship is very broad, and with a few minor additions and deletions, it can also serve as a definition for what we now call patient-centered care. Perhaps it is not by accident that the term “patient-centered medicine” was introduced into common parlance by Enid Balint, the wife and collaborator of Michael Balint who was one of the earliest researchers of the dynamics between doctors, patients and illnesses. Michael Balint went as far as to suggest that the doctor himself was actually a therapeutic “drug”, while Enid Balint envisioned the skills needed in the practice of patient-centered medicine to be “in the way that the doctor allows the patient to use him, rather than in the way the doctor responds to the patient by his interpretations and theories”. Whereas the contemporary definition of the physician-patient relationship (and subsequently patient-centered care) consists of a rigid set of presumably ideal physician characteristics, the Balints, and to a certain extent Dr. Szasz, saw the physician as a tool to be personalized by each patient and further customized for each illness situation. It is difficult to imagine a more egalitarian or participatory relationship than this one. In fact, Dr. Emanuel’s six C’s can be seen as just one particular facet of the malleable relationship proposed by Enid Balint. In a perfect world, we would concentrate on creating an environment where physicians are able to allow themselves to be used by patients, and trust that good things will happen to both parties as a result. But in our current world of ingrained distrust and defensive measurements, we feel compelled to digitize, tabulate, rank and rate the doctor-patient relationship, just like we measure everything else. First, the ubiquitous patient experience surveys provide a coarse measure of how patients experience the communications component of the relationship. It is interesting to note that patients are not asked about their preferences, but whether the “provider” did this or did that, presuming that this or that are what the patient wants the “provider” to do in all situations. 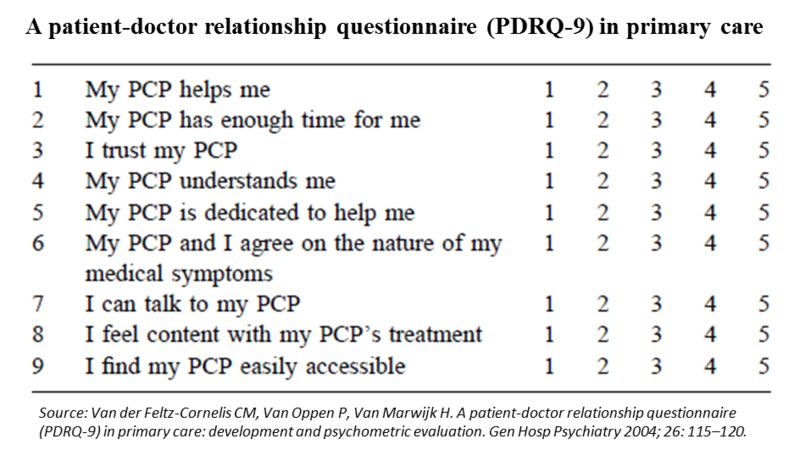 Can we infer from a highly scored experience survey that the patient has a useful relationship with her doctor? Not really. Then we have the periodic surveys asking patients to rank the importance of physician attributes, which always include physician compassion and communication patterns, but rarely other components of Dr. Emanuel’s six C’s, and never the chameleon abilities proposed by Ms. Balint. The presumed intent here is to impress upon physicians that they should focus on the highest ranked attributes of the relationship because they matter more often to more people. Some researchers went as far as to define frameworks for measuring the relationship itself, and formal screening instruments to score it from a patient perspective. 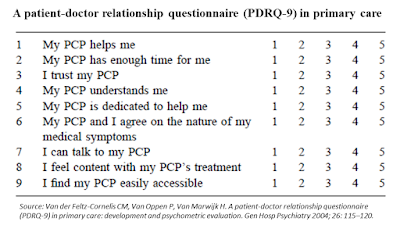 Those tools seem a bit more pertinent since the questions are about the patient and her perceptions, instead of inquiries about sanctioned physician activities, and because no assumptions are being made regarding the “right” kind of relationship (a Dutch example is depicted below). Perhaps a combination of the former and the latter, along with objective information, such as assessment of choice, conflict of interest and competency, can get us closer to a meaningful measure of the doctor-patient relationship. Careful analysis of result sets would allow us to answer two basic questions: are patients getting what they value most, and are those fortunate enough to have the relationship they desire experiencing better medical outcomes. Examining the characteristics of both patients and doctors, could yield actionable insights into optimal practice models. Strangely though, in spite of the billions of dollars spent on “patient-centered” research to date, I am not aware of any such study, or serious attempts at anything remotely similar. One can only wonder why. Although there is ample rhetoric about the doctor-patient relationship and patient-centered everything, much of what we do in health care today is in stark contradiction to Dr. Emanuel’s ideal six C’s, not to mention the revolutionary ideas of the Balints. Patient choice is being curtailed by a bewildering array of narrow network health plans and wholesale clinical decisions made by corporate CEOs. Competence is being redefined to include care provided by non-physicians, non-clinicians, and algorithmic software. Continuity of care is being discouraged in favor of cheapness, convenience and continuity of medical records, while conflict of interest is inherent in all so called value-based arrangements. Compassion has been scripted by marketers, and communication, precisely codified for the eclectic, self-managing, highly educated, financially secure, and largely healthy, patient segment, has become the second most important factor defining the interaction between patients and the health system. The premier factor is of course, access to all of the above. I don’t think I can agree with Dr. Emanuel’s opinion that the physician-patient relationship is the “cornerstone” of health, but it might very well be the cornerstone of healing. I don’t know how healing the sick affects the myriad measures we are currently collecting, reporting and analyzing with such zest. Some argue that a satisfactory doctor-patient relationship is conducive to patient adherence, increased ability for self-management, and decreased utilization of hospitals and emergency services. If these assertions are even partially true, then the doctor-patient relationship has serious implications for the most important aspect of health care in this country: money. And as such, defining, supporting, and, yes, formally measuring and analyzing the doctor-patient relationship may present a rare confluence of interests between corporate greed and basic human dignity. The health information technology (HIT) world has been hit by a watershed event like no other. 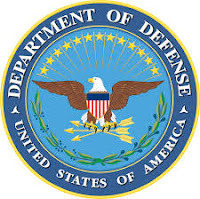 The Department of Defense (DoD), widely respected for its indiscriminate generosity to contractors, has awarded the most coveted prize in recent HIT memory – the Defense Healthcare Management Systems Modernization (DHMSM) contract. And the winner is... Leidos, the contractor formerly known as SAIC. A couple of years ago, when the race for the DoD contract began, Leidos/SAIC selected Cerner as its EHR of choice for this contract. The smart money though was on Epic and its Big Blue partner because they are and seemingly always have been the safest procurement choices for top brass in any large organization. A stunned HIT “community” initiated its favorite game of providing post facto authoritative explanations ranging from cute to grotesque. Here are the most common and least specious opinions. The interoperability lobby offered Cerner’s recent and vocal leadership in organizing a national information exchange as the reason for the DoD choice. Others, who may have been bothered in the past by the prices Epic was able to command, suggested that the relative cheapness of Cerner must have tilted the balance. The technically inclined opined that the Cerner architecture is more modular and hence a better fit for DoD needs. These theories and more may all hold some truth, but what we all seem to forget is that the DHMSM contract was awarded to Leidos, and Cerner is just a subcontractor. Back in 1988 SAIC was awarded a $1 billion dollar initial contract to design, develop, and implement the Composite Health Care System (CHCS). When the first version of the CHCS turned out to be lacking, SAIC was awarded a contract to replace it with CHCS II. Over 27 years SAIC has evolved the CHCS into the current Armed Forces Health Longitudinal Technology Application (AHLTA) through design, redesign, rip-and-replace, integration and deployments in military facilities of all types around the globe. The DoD was very proud of the new $1.2 billion AHLTA back in 2005, but in time it became fondly known as an acronym for “Ah Hell, Let's Try Again”. Nevertheless, SAIC kept raking in support and development contracts for AHLTA, since according to the DoD, SAIC “is the only vendor capable of supporting functional and technical system changes due to their unique experience and familiarity with the system”. Speaking of money, it does seem rather excessive to spend so many billions of dollars on a piece of software. Nobody knows how many billions will end up being spent, but we do know that $4.3 billion is the absolute minimum over the next 10 years. Is that a lot? The DoD has 55 hospitals and more than 600 clinics, and it has aircraft carriers, submarines, helicopters and all sorts of personnel carrying vehicles where the EHR will need to be used, not to mention remote caves in foreign lands, and theaters of full blown war. Neither Cerner nor any existing EHR, including VistA, has those capabilities out of the box. Certainly lots of new code will need to be written by Cerner, but the bulk of the money will go to integration and deployment. That money is SAIC money and is independent of EHR choice (this is a good place to go back and read that Vanity Fair article). 8/29/13 …Ready to roll! I explained tonight that the new computers are tools and not toys, we’re going to use them to track our progress. I showed each of the children how to use the preloaded spreadsheets to track their time spent on homework, chores, piano and violin practice, school attendance using GPA as an outcome metric, and so forth. I included detailed procedures for everything from teeth brushing to basic hygiene and meal prep, expectations for laundry, vacuuming, dishwashing, and lawn mowing... Glen was excited to see I’d included a program to track his baseball batting average. It’s important for children to have some unstructured time to pursue their own interests and hobbies so I built that into the detailed preloaded schedules customized for each of them. For Kate and me, we have the added responsibility of tracking household finances, kitchen and pantry inventory, transportation expenses maintenance and repair, etc. I mirrored some of the children’s software on our computers too so we can have reminders of important events like recitals and soccer games…. Opinions expressed by "On Health Care Technology" guest bloggers are their own.